I love this bicycle! It's made completely from cardboard. It can handle a hefty 308 pounds. It's waterproof and it's cheap. The bike costs only $60 for the standard model, or $90 if you opt for the extra attachments like a removable motor. With a production costs of only $9-12, this eco-friendly bike could be the next solution to transportation woes for both developing nations and hipsters alike. ReubenMiller's Got a Brand-Spanking New Look! I'm sure you've noticed by now that we've got a fresh new look for the blog. After a lot of coding, tweaking and generally making a mess of CSS, I've managed to get it to look half-decent (let me know what you think of it!) It still remains a work-in-progress. The goal of this redesign was to make it easier to get around and add some more color. After all, you know we're suckers for color! Last but not least, our large header incorporates the work of a featured artist. We'll be featuring different artists in that space and rotating them over time to keep things interesting. This isn't a sponsored spot, but rather a testament to our support of great artists. Our first feature is of the brilliant and witty Simon Oxley, one of our all-time favorites. The pain at the gas pump has gotten bad enough, that folks in the auto industry are finally pulling their heads out of their you-know-where and doing something about fuel efficiency in their vehicles. Here's the latest from VW. 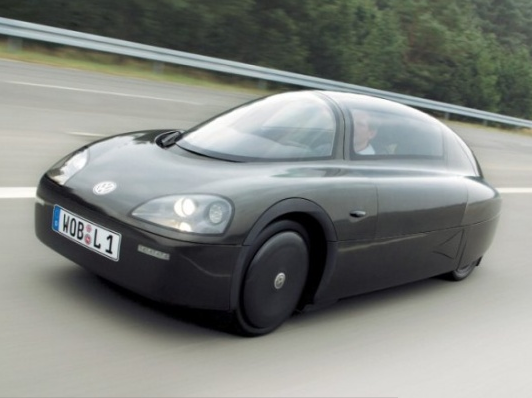 The automaker claims this concept car, the 1L will travel 235mpg using just 1 gallon of gas. So while gas prices enter the stratosphere, these vehicle could stave off international civil war. VW claim the car will be on the market by 2010. Nike has introduced several new shoes for various competitive categories at the Beijing Olympics. The above image shows the Nike TKV shoe developed for taekwondo. This footwear was designed to protect the feet of athletes whose performance may be compromised by injuries in earlier rounds. 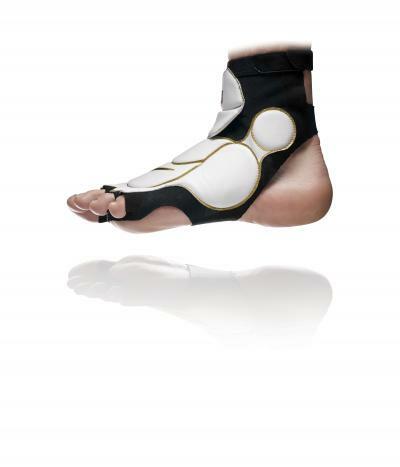 The design allows for maximum movement while protecting the foot and ankle. One fascinating detail among others is that the protective cushioning material was engineered to make a loud 'clicking' sound upon impact with an opponent. The purpose is to aid in judging so the moment of impact can also be heard - not just seen. I assume this enables more accurate judging. There is a great article I read in the most recent edition of Wired Magazine about Steve Job's way of doing business in stark contrast to just about everyone else in Silicon Valley. It seems the increasingly popular touchy-feely transparency-is-king approach to business isn't necessarily the only way to go. 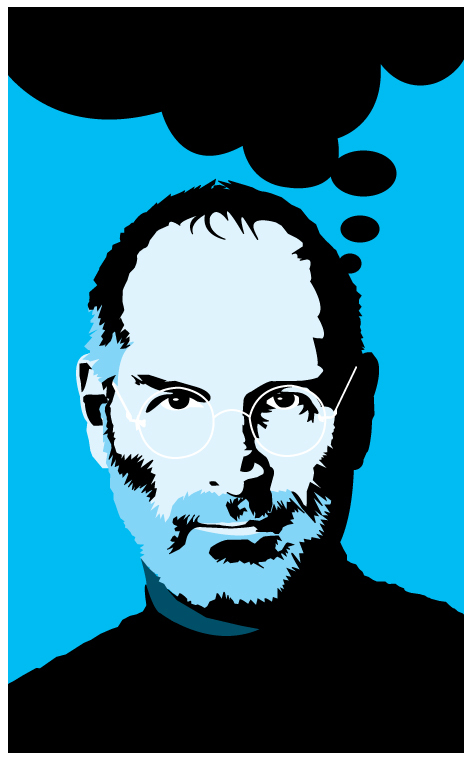 Jobs has shown that tough, secretive, demanding and aggressive leadership (OK - call it dictatorship) can build a great company based on great teams of brilliant individuals. It's the tough-guy approach balanced with the ultimate motivator that has his army winning technological supremacy. And, if Apple has been such a runaway success of a company, then there's something to learn from Job's approach. 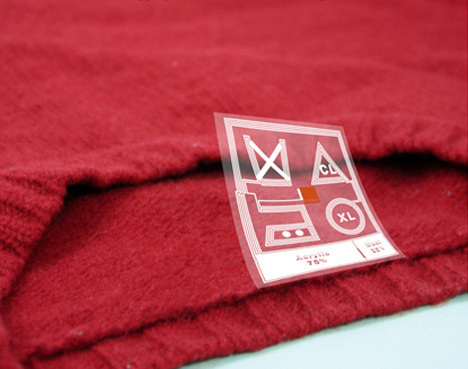 Since most people don't read laundry care tags (a whopping 70%) there's a good chance that lots of good clothing gets ruined in the wash. Samgmin Bae designed a tag using RFID technology. The clothing can 'communicate' with RFID-enabled washers, dryers, irons and dry cleaning equipment. The RFID circuitry is also laid out so it visually communicates the care instructions, too - nice little touch! This is conceptual, but very feasible. I'd love to see this concept happen. An interesting post on Core77 caught my attention today. Maybe we're crazy, but we think the following might contain a lesson for product designers vis-a-vis human desire. Apple is widely recognized as selling people easy-to-use products that they actually want, but these products are often attacked relentlessly in forums and online chatter. 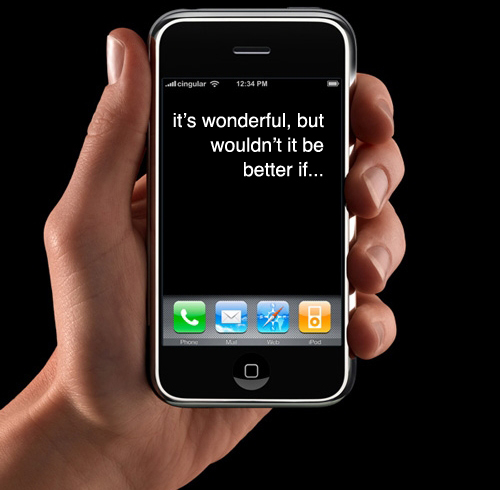 Did you ever notice that when people criticize Apple products, it often starts "I love the [iGadget] but..."? Seems to us people never used to complain about products in this way. Our theory is that when you give people what they want, they actually complain more than they did when they were simply putting up with whatever was doled out to them. It's kind of like you're in the Soviet Union circa 1985 standing in line for 220-grit toilet paper, then you get whisked to a 2007 supermarket where there's aisles upon aisles of soft, fluffy Charmin, and suddenly you want the Jumbo roll so you don't have to replace it as often, and you want a coupon to pay for it." I was intrigued so I decided to ask Ernie Schenk, who just has a really smart way of looking at marketing and advertising concepts. "Young creative team starts winning awards. Alright brother! Good for those guys. Everyone loves them. They’re cool. A year goes by. Same thing. Same team cleans up. Hooooray! We love you guys! Hugs and kisses all around. A third year. They do it again! Little less applause. Not so many hugs and kisses. This goes on. The team keeps winning. Fundamental shift point. Or tipping point, whatever. People are still in awe of the team, but they’re not such big fans anymore. Why? Because the team got too big for its britches. Too successful. We love success as a culture. But only to a point." So, our excitement with Apple and all it's wondrous glory has maybe hit a tipping point and we demand vastly more from such icons of perfection and greatness in design. Indeed when you give people what they want, they are only more alert to what little flaws might still be left. 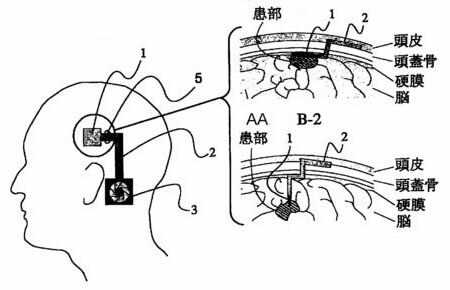 Japanese scientist, Takashi Saito along with his colleagues at Yamaguchi University have developed and patented a cooling system that can be surgically buried in the skull. They claim that it will cool and calm the over-heated brains of epileptics during a seizure. "The cooling apparatus consists of a metal plate or wire buried in the skull, and a heat pipe connected to a radiator outside the skull which allows the heat to dissipate." © 2008-2012 REUBENMILLER. ALL RIGHTS RESERVED. ALL IMAGES AND VIDEOS ARE SUBJECT TO COPYRIGHT BY THEIR OWNERS. NO IMAGES OR VIDEOS MAY BE DOWNLOADED, COPIED OR USED IN ANY MANNER WITHOUT THE PRIOR APPROVAL OF THE RESPECTIVE AUTHORS.